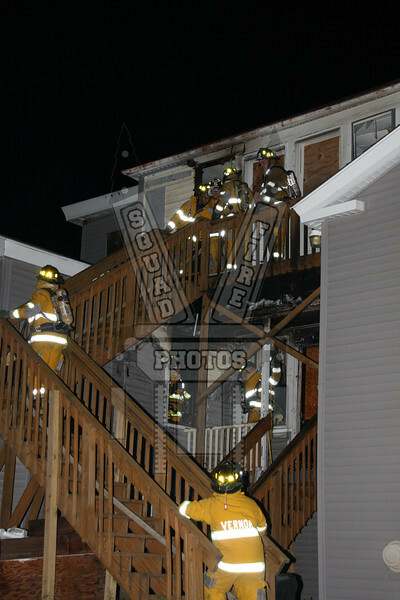 On 12/5/09 @0217 hours the Vernon, Ct FD responded to 42 Elm St for a working fire in this building. (This building had a 2nd alarm on 3/29/09. Pictures on this site of that fire.) VFD had been in the neighborhood with 3 dumpster fire's including one across the street from this building within the past 2 1/2 hours. There was also a small fire in the building to the rear of this property at the same time. The Vernon fire marshal's office is investigating.